Well this thread is encouraging, I'm going to be curious to see even older machines with core 2 duo's and such. Seems there's going to be a LOT of wiggle room to optimize this on several difference pc's. 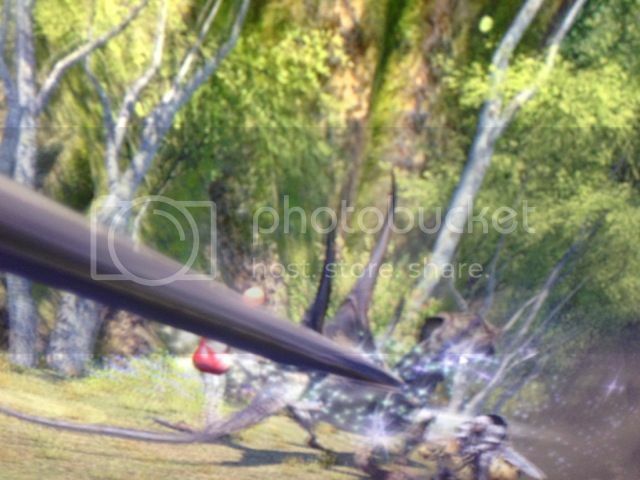 That was Yoshi-P's goal. He really wants everyone to be able to not only play, but have it still look good. You can embed with premium. My games used to do that when my GPU would overheat, but that's probably one of many possible causes. I am wondering why I can only have a resolution of 1920x1200. I use eyefinity with 3x 2560x1440 screens when I play. Wanted to try 1 screen with max resolution at max settings first just to see what I would get, but couldn't crank it up that much. Do you think this will be a problem in the game as well or was this just for the benchmark? I've seen 1.0 running with Eyefinity, so I think you'll be ok, must be a benchmark only thing. I have no idea what most of these options do, lol. I plan to have my new machine built by the time the game releases, but for now what do you computer gurus recommend me lowering/turning off first to try and get somewhere in the middle range score? -Capable of running the game, but will experience considerable slowdown. Adjusting settings is unlikely to improve performance. This seems to be the best option for me and possibly other people with a similar machine (depending on what you can live with or without). I turned the settings to the default Maximum and then used the same setup as High on the boxes you check at the top - with the exception of the Anti-Aliasing (I always heard this was something to turn off if you have a poor man's gaming laptop like myself). I lowered my monitor's resolution to 1680x1050 (was really hard to find one that didn't leave me with "wasted space" on my screen) and used 1280x960 for the benchmark. I tweaked both resolutions up and down many times and this seemed to be the highest I could get before making the jump from a "Standard" score to a "Slightly High" score. I'm guessing Standard is what I should be shooting for? Whoa. That's truly unparalleled graphics for an MMO, and my computer has absolutely no problem handling them. Looks like good programming to me. Good job, SE, good job. Got a XFX Radeon 7870 Double Dissipation in my system. I'm glad my system runs that good. Just updated my grapics card from a GTX460. Yeah I ran 1.0 with eyefinity. I wasn't running it when doing the test now though, I was just curious why I couldn't even max the resolution on one screen. I hope you are right... honestly I think you are because SE seems to be doing most things right concerning graphics atm. Better than I expected frankly. I think I'll take it. 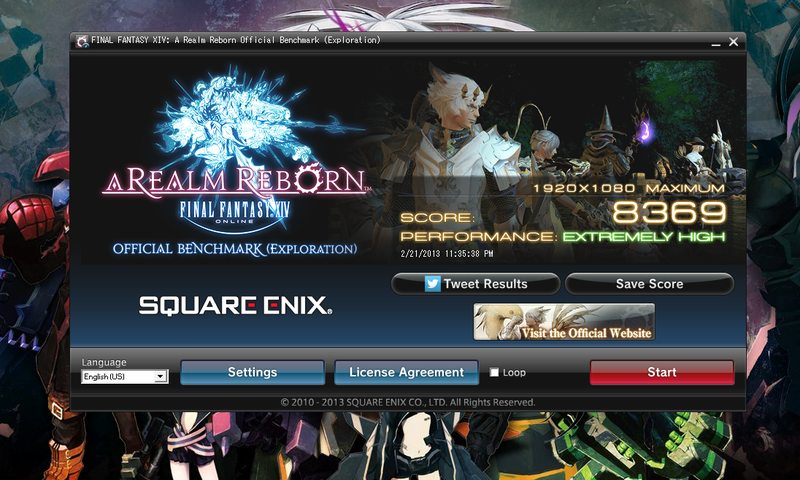 My pc is almost 3 yrs old, my brother built it for me during the alpha/beta of 1.0, primarily just for FFXIV. It was not the best at the time, but the best I could afford to upgrade to. So...I was thinking it better freakin play this lol. Played the benchmark at normal default settings and scored 8541. Cranked everything up to the highest settings and scored 2169. Not so hot on high, but at least I don't have to immediately start planning a new pc. I think everything looks good even on regular settings. Hopefully people will stop doubting that they truly did rebuild the game from the ground up now. Woo, Very High on both Maximum and High settings! I can live with high on "High" settings. they obviously did an excellent job optimizing the graphics and speed, as i expected my results to only be playable on medium. Definitely upgrading my PSU and Gcard though. As the 8+ man events did cause a noticeable slow down. Other than that if for (god forbid) some reason I can't get that by release it's still more than playable. I have an amd radeon r6670 2GB core edition gcard and an A4 amd processor if that gives anyone an idea of the ballpark (low end compared to most of the setups most of you have). Basically that means anything with a recent graphics card and a decent processor can play this game on med/high settings with no real issues. Pretty impressive how smoothly they have this engine running. My PC is nothing special and it handled it with no problem at all. 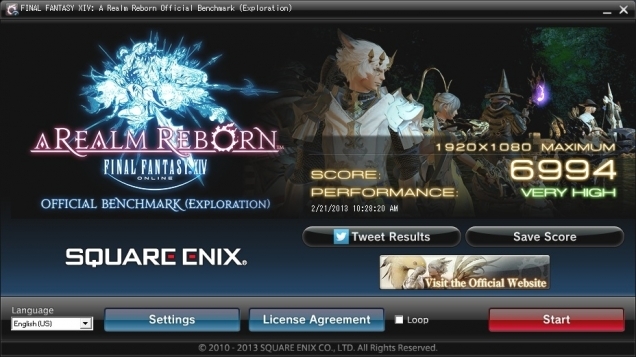 I'm still playing with this, but I'm guessing that Yoshi P's screaming high score was done at a lower resolution. I just dropped down to standard HD (1280x720) and I broke 2000 before the first scene even finished. Consider switching to a higher resolution depending on performance. Will test on my rig later but on my 3 year old MSI gaming laptop I am getting good performance on medium, and decent performance on high settings. Managed 3881 on my laptop at maximum setting @ 1920x1080, (which also out-performed my desktop at home by a small margin). Sure, it's not as high as some of the scores you guys are throwing around, but I'm a trucker; I need mobility. My desktop seriously needs a new motherboard / CPU, and could probably benefit from more RAM yet.